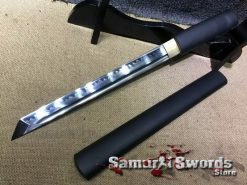 This Samurai Katana has a blade made of T10 folded clay tempered steel that has been further enhanced using the using the hadori polishing method. The blade is full tang and has been fully sharpened and differentially hardened, the edge is hardened to retain it razor-sharp, while the spine is left softer and allows the blade to bend and not break. 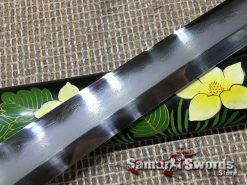 The steel has been folded 13 times, creating thousands of layers which can be seen as beautiful grain pattern on the blade surface, and the subtle hada that appears is valued by many. 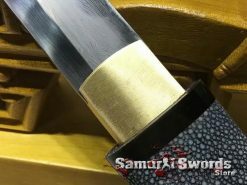 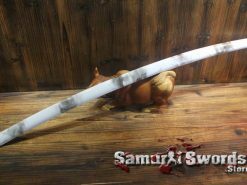 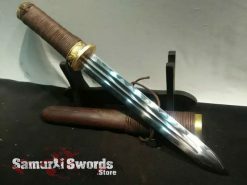 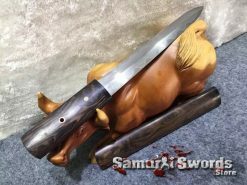 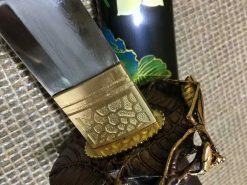 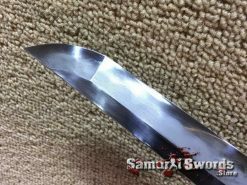 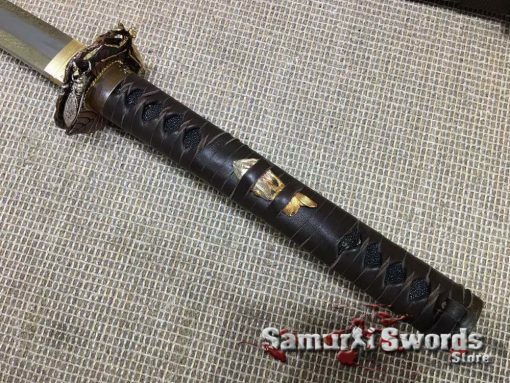 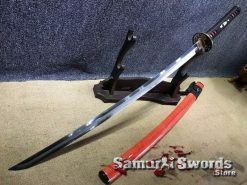 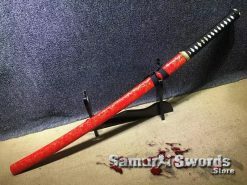 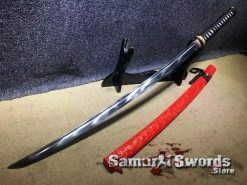 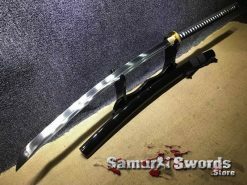 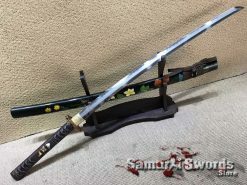 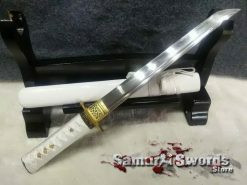 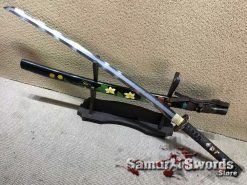 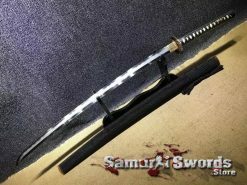 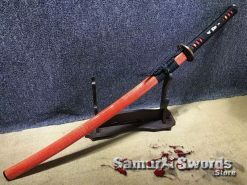 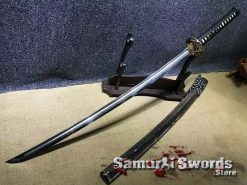 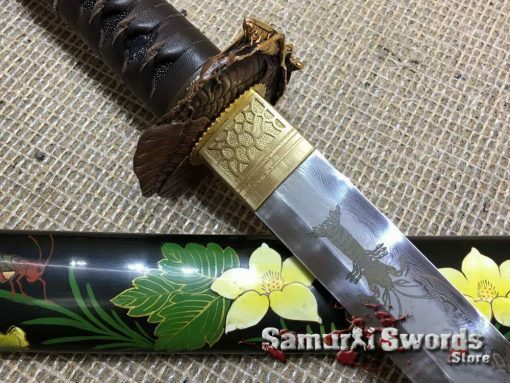 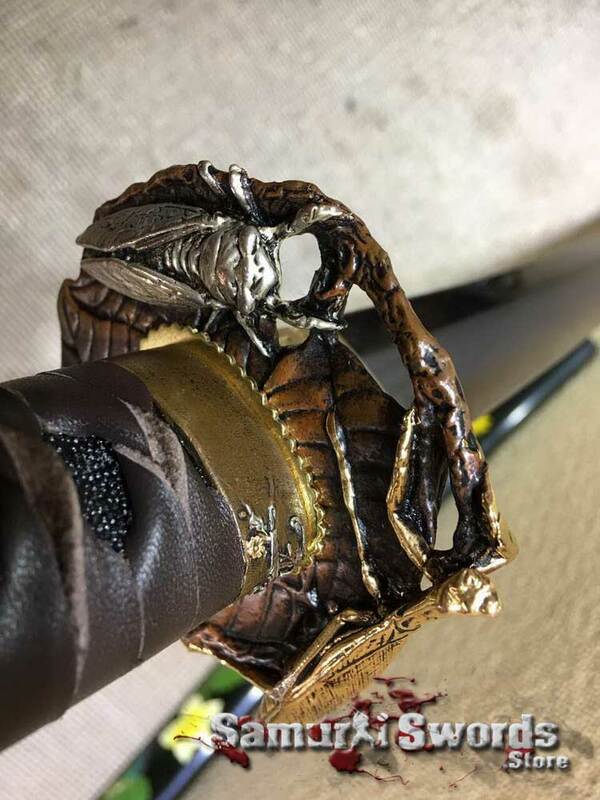 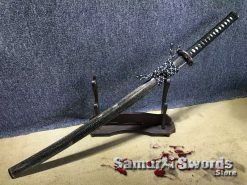 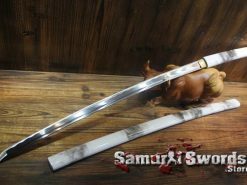 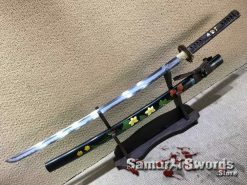 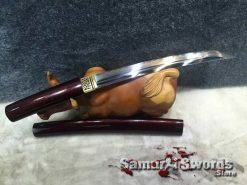 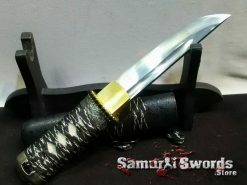 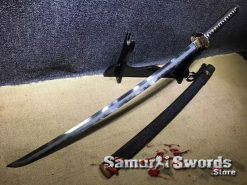 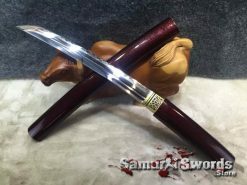 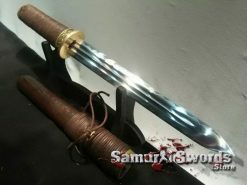 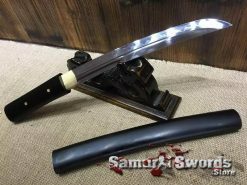 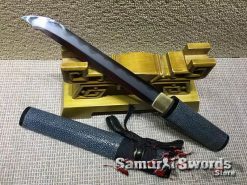 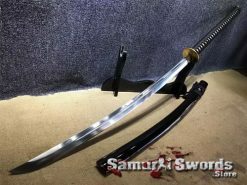 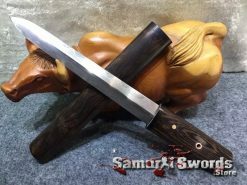 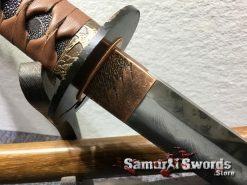 To further enhance the sword, it has been polished using the Hadori polish, which is a classic method of Japanese polishing and when this is done adequately, it enhances the appearance of crystalline structure and exhibit the best of the Katana hamon line. 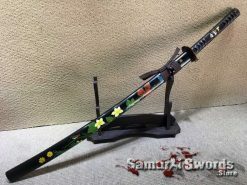 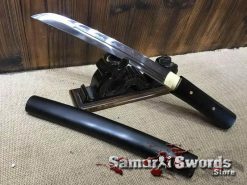 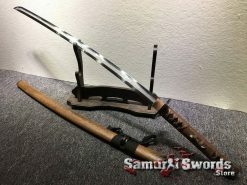 The Katana has a beautiful black Saya with hand painted flowers and dark brown silk Sageo that complements the dark brown leather wrap of the handle that was tied in a battle wrap fashion. 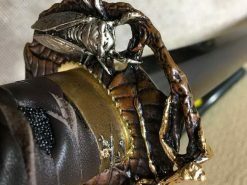 Under the Ito there is black ray skin samegawa and menuki made of brass in the center of the handle from both sides. 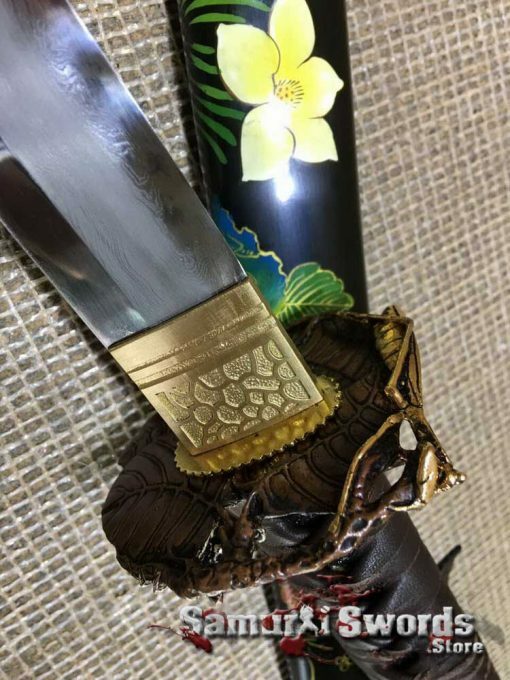 The sword Tsuba, Fuchi and Kashira are made of high-quality copper. 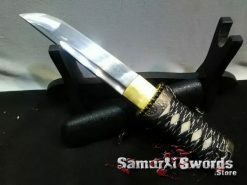 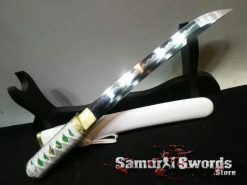 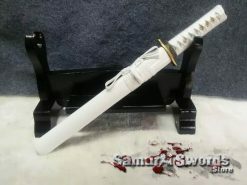 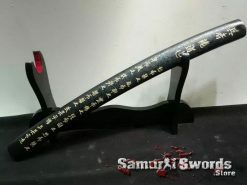 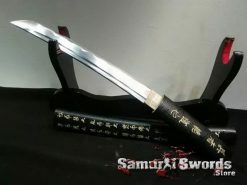 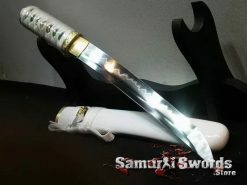 The Katana blade length is 72 centimeters and the width measures 3.2 centimeters; its handle measures 27 centimeters. 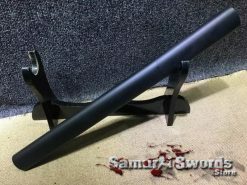 All in all, the total weight of this Katana is 1.61 kilograms. 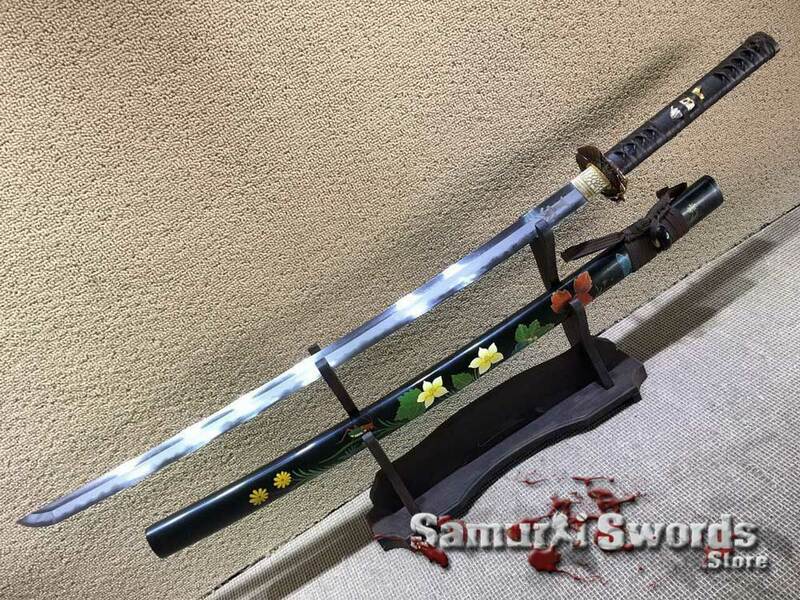 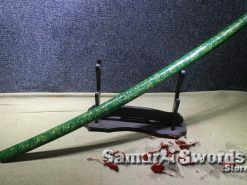 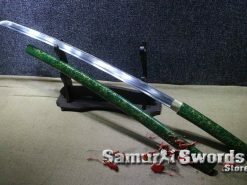 When you purchase this Katana, it also includes a silk sword bag to keep the sword when it is not in use.